The TVS Promise: To fulfill your vision - TVS values your satisfaction and we commit ourselves to understanding your vision, your needs, and your goals. We promise to provide our best professional service to you and will aim to delight. To deliver your project on time, on budget - TVS understand the strain that budget and time constraints create for you. We can deliver your project on time and on budget whilst ensuring that quality of the design, documentation and service is not compromised. Excellent design outcomes will be achieved within your budget constraints, your needs, not our egos, will drive project outcomes. To create innovative designs and practical solutions for you - TVS directors understand your need for value adding innovative designs and cost effective practical solutions. Having undertaken our own developments, we can apply our knowledge and expertise to your project to provide the best possible outcomes for you. To provide high quality service for you - TVS directors look after your project from start to finish. In this way we can guarantee that a clear understanding of your requirements will be carried all the way through your project. We will provide a prompt, honest and professional service and will always act in your best interest. We pride ourselves in maintaining high trust and lasting relationships. Your praise is our greatest reward - While we have received design awards and they are gratifying, we value your good opinion the most. We are very proud of our client references and have displayed some here on this website. We look forward to the opportunity to earn your high regard. Harry Poulos Architects is a Brisbane-based firm committed to meeting the needs of its clients throughout Australia and the world. Dedicated to providing a quality design-driven service, Harry Poulos Architect projects are purposeful, sensitive to the environment, cost effective and give pleasure to the user. Since commencing in 1994, the firm has established strong relationships with businesses in Brisbane’s CBD, designing many of the corporate fit outs in the city’s riverside business hub. Corporate fit outs are one of the company’s core specialities. 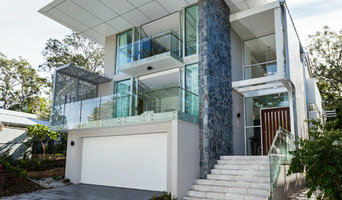 Luxury residential and multi-residential developments are the second major component of the business, with Harry Poulos Architects designs found throughout many of Brisbane’s inner-city suburbs. I am a sole practitioner, with over 20 years experience designing homes and commercial interiors. Based in Brisbane, I also do projects in coastal and rural Queensland. Although I work more with a pencil than a computer – that’s how my creativity flows – I fully embrace the contemporary with its trove of exciting new materials, technologies and design options. What never goes out of fashion is the need to be responsive to the environment from which a building rises. This means designing to integrate natural beauty and for sustainability. You want to love being in your home. And that’s what I want to help my clients achieve when I design their new home, or extend or alter an existing house. I make sure I fully understand your brief – how you live and how you want to use the new spaces we are designing. I aim for an aesthetic that will delight you for decades, and functionality to suit your lifestyle. I focus on achieving energy efficiency through clever passive design, and finding the optimal solution for any site dilemmas. ARA Residential Architects Brisbane is a small design and service focused architecture practice specialising in detailed residential design and interiors through to multiresidentail and small commercial projects. Our focus is providing exceptional quality in all aspects of the architectural commission from early concept design through the development and documentation phases until the projectÂ’s completion. We welcome large and small scale projects requiring careful and considered exploration of ideas together with rigorous documentation and building procurement practices. Kōen (‘park’ in Japanese) is a place of culture, creativity and community, celebration, relaxation and play. It is open and accessible by all. It is a place where the manmade and the natural meet.Architecture Kōen believes it is possible – and necessary – to create places and a way of living connected to nature and community within the context of the mounting challenges of resource scarcity, population growth and economic expediency. Architecture Kōen offers a professional service with straightforward communication. We will work with you to ensure that our services and fees are appropriate to your budget and project expectations.Architecture Kōen brings to your project a passion for quality design outcomes and 18 years of experience across a diverse range of project types with some of Brisbane’s leading practices. Project experience includes residential – private homes and extensions, and multi-residential from duplex to large apartment and mixed use developments; education – childcare, school and university; institutional – art museums, health, aged care and defence; and commercial – high rise, low rise, retail and tenancy fitout. We aim to create space that inspires. 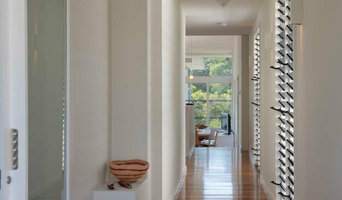 We like to think that we design houses and buildings that provide sanctuary and a sense of belonging for their owners. Anna is an architect passionate about collaborative process, community architecture and responding to place within the built environment. Growing up in Brisbane, in a family of architects Anna has been engaged by design ideas and discussions on architecture and its value to people and our communities since an early age. It is these early fascinations and experiences which inspire Anna to create quality, crafted and considered built environments where architecture works to strengthen connections between people and place. Anna's approach to architectural design has been further influenced by a range of experiences and learning opportunities, including international architecture tours, being in nature - the bush and beach, formal education, testing and researching ideas, and collaborating with other professionals and skilled crafts people. O’Neill Architecture offers a different approach to architecture for challenging and competitive times. We work beside our clients to achieve their success through all stages of the project. Following 17 years as a Founding Director of Arkhefield, O’Neill Architecture was formed in 2009 by Justin O’Neill. He saw a firm where its clients could access an enormous amount of expertise and intellectual property to create outstanding projects, uniquely one without the layers, delays and inefficiency of a traditional practice. Whether a project is commercial, public, residential or mixed use... urban design or master planning... we support the entire journey, guiding the whole project team from conceptualisation to sketch, from research to commercial reality, from design to approvals, from ground breaking to delivery. We synthesise the multiple requirements and inputs of the project to underwrite its commercial and social success. We live our clients’ projects and own their outcomes. A design partnership focusing on small scale commercial, mixed use, and residential projects. Includes unit, townhouse and house designs and renovations. Phorm is a studio-based fraternity, operating above and below the tropic line. The practice is experienced in small to medium scale residential, multi-residential and remote micro-resort projects. Since its inception in 2000, the practice has focused on developing a “duality” within the practice profile by maintaining a balance of projects between the South-East corner and regional Queensland. An underpinning strategy for most project-work is the initial mapping of the broader physical and cultural landscapes. These investigations often synthesis into the key determinants of plan, spatial pattern and built form in a responsive “mediation” of habitation and place. The Practice is engaged with the ideaology of “phorm finding as opposed phorm making”. 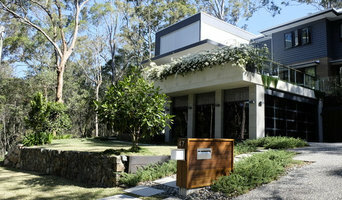 At Neylan Architecture, we design built environments. Our experience in work ranges from Macro scale urban interventions to Micro scale detailed design. Irrespective of job scale, the Neylan team aim to work one-on-one with each client in order to ensure we cater to their unique requirements. As a constant in the Architectural Landscape of Brisbane City, Neylan Architecture continues to deliver tailored design solutions to our clients, time after time. We collaborate with our clients to create beautiful, functional and enduring buildings, perfectly suited to living, working and playing in Queensland's sub-tropical climate.